As part of being Santa Claus around the holiday season, many people are excited to bring not only their children to get photos with you, but also their other best friend, their pets! Pet pictures with Santa can be a fun and magical way to kick-start your holidays—not to mention that Santa pet photos make the best holiday cards! The holiday craze can be overwhelming, especially for your pet. With crowds flocking to shopping malls and people dressing up in various costumes, it’s not unusual for pets to be a little intimidated by the masses and overwhelmed by all of the Christmas spirit. If the environment is too stressful for your furry friend, think about calling stores ahead of time to check when lighter crowds are to be expected. You can also giving some calming treats to your pet beforehand to reduce any anxiety he may experience. 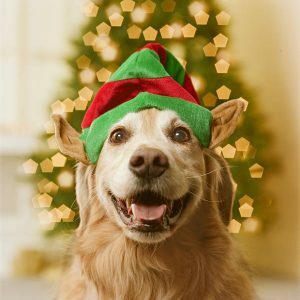 If you know your pet won’t do well in public, you can get a pet Santa costume and have a family member capture your pet posing in a pet photoshoot at home. If you do decide to venture out we recommend that you familiarize your pet with strangers, so the entire experience is not as stressful for you and your fur baby. 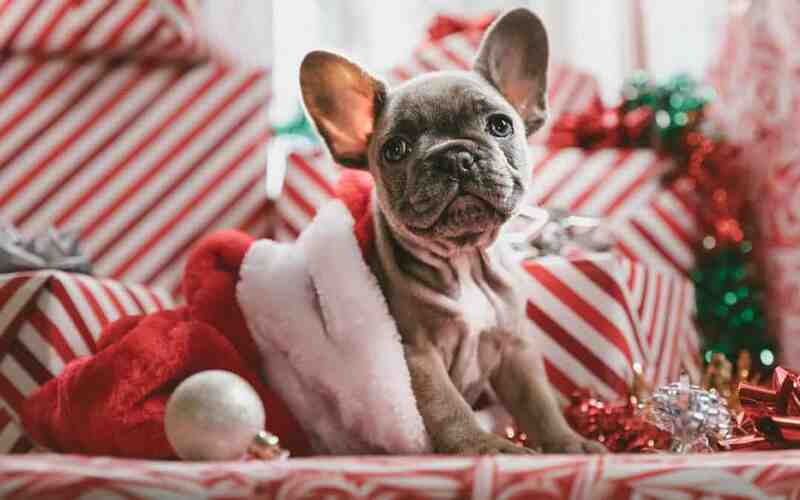 Have people that your pet doesn’t know stop by for a visit and have them give your pet lots of their favorite treats to start the process of familiarization; this will help make the entire Santa pet photoshoot encounter go smoother. Be aware of the fact that a line full of dressed-up animals may cause your pet more anxiety than usual. Candid photos are cute, but so are those big, puppy dog eyes we like to see in our pet photos. To get your faithful friend to pose perfectly and look at the camera, try using a noisemaker. Nothing will get your pet’s attention like a squeak or crinkle from his favorite toy. Another way to capture your furry friend’s attention is to stand behind the photographer and motion to him to look at the camera. Sometimes all your pet needs is a little encouragement from his favorite human! Make pet pictures with Santa an easier and safer experience by training your furry friend to respond to you on command. A simple “Sit,” “Stay” or “Off” will both guarantee good photos and safety for those around your pet. If your furry friend is reluctant to trust the man in the big red suit right off the bat we recommend you ask Santa to drop a few treats on the floor for your pet to take, so the two can get familiar with one another.